Since the Marathon bombings almost a month ago, I’ve been working to put together a charity Back Bay Chocolate Tour to benefit The One Fund on Sunday, May 26, 2013. All proceeds raised from the event will benefit those affected by the Boston Marathon bombings. The Boston Strong Back Bay Chocolate Tour will highlight the best of Back Bay and celebrate much of what makes Boston so great, as it takes its participants by such historic locations as Copley Square, the Prudential Center, the Boston Public Library, and the Boston Marathon finish line. This distinguished area, which is rich in culture, architecture – and of course, fine chocolate, was at the heart of the Boston Marathon tragedy that took place on April 15, 2013. In addition to following the Back Bay Chocolate Tour’s traditional route, many of which will be doing extra tastings and raffles for us, the festivities will also feature donations from many of the state’s leading chocolate suppliers. I have worked very hard to secure donations from Equal Exchange of West Bridgewater, Enchanted Chocolates of Martha’s Vineyard, UNREAL Candy of Boston, Taza Chocolate of Somerville and Valrhona chocolates from J.N. Kidds Food Distributors of Weymouth. 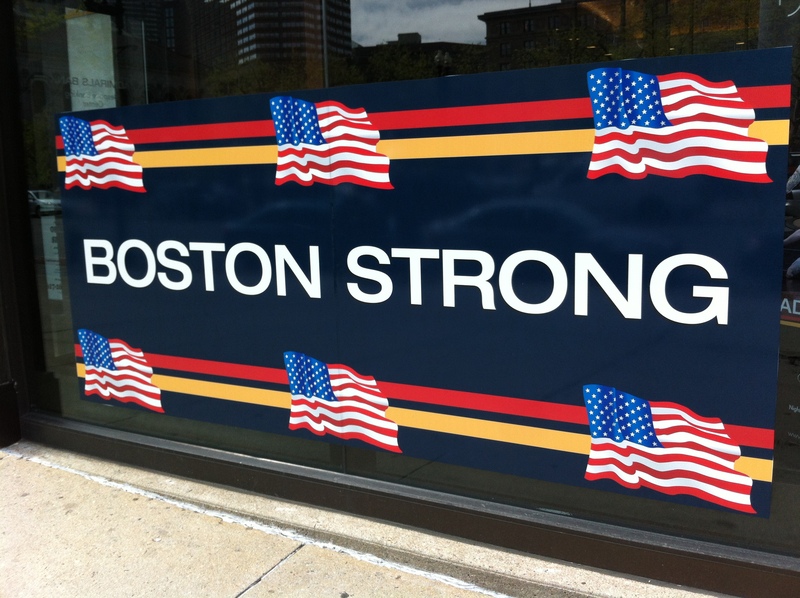 We’ll also be getting Boston Strong t-shirts for all of the tour guests to wear on the tour. If you’ve never done a chocolate tour with me before, now is a great opportunity to experience something really special–not only because of all the chocolate, but also because you’ll be doing something amazing to help our beautiful city. There are fewer than a dozen tickets available, and they’re going fast. Don’t miss out!